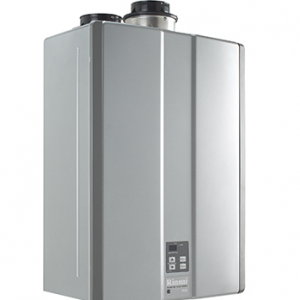 Money and energy savings over a tank type water heaters and traditional water heaters. Provide longer life expectancy as they are highly resistance to corrosion and erosion compared to copper heat exchangers. 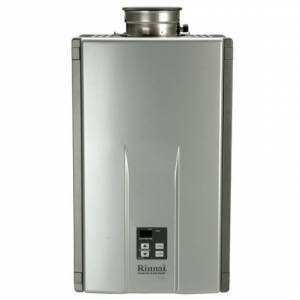 Saves water with the reduced time to get hot water. Saves money with built-in recirculation system. Navien’s units have built in controls for multi-unit system allowing easy setting. No extra control boards are required, reducing installation costs. Easy wiring between units and easy setting of the parent and child for multi-unit system. 16 units can be linked as one group and cascade as many groups as you need. 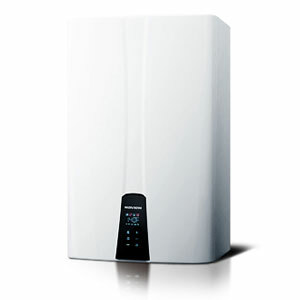 Cascading allows for added redundancy insuring on-demand hot water in all situations. Small and compact wall-hung design allows multi-unit system even in a confined area. Used for hotels, schools, hospitals, beauty shops, restaurants, health centers, and more. 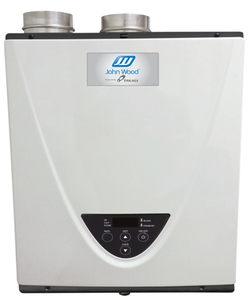 Hot water temperature control Recirculation timer setting Function to set the number of initial activating water heaters for cascade system Temperature set-up for cascade system with external tanks.